This article is meant to assist you with the Insurance Tab in a Case Screen. Click on the following link to Add Insurance Providers. To get started on adding insurance for a case, click on the green Add Insurance button. 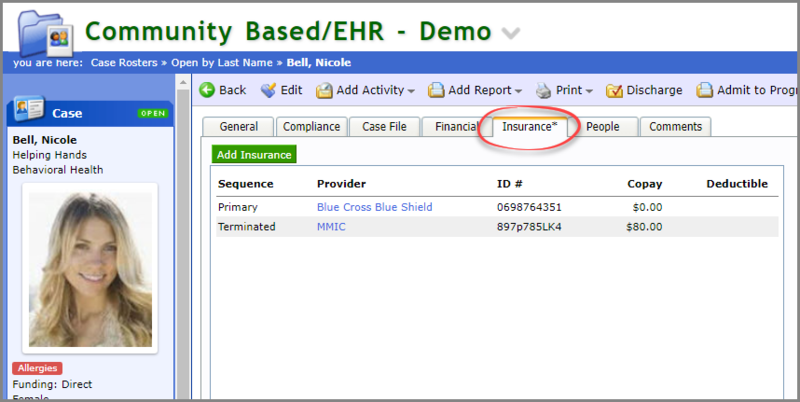 Fill in the fields and press Save to add the insurance provider.